This waitress doodles on a receipt. When she opens Facebook 2 hours later, she almost faints. 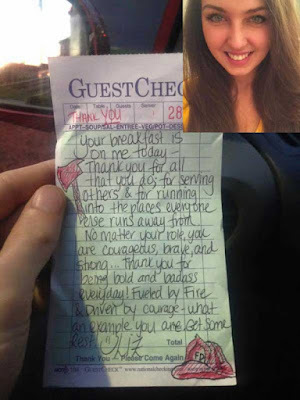 Home » story » truth » This waitress doodles on a receipt. When she opens Facebook 2 hours later, she almost faints. 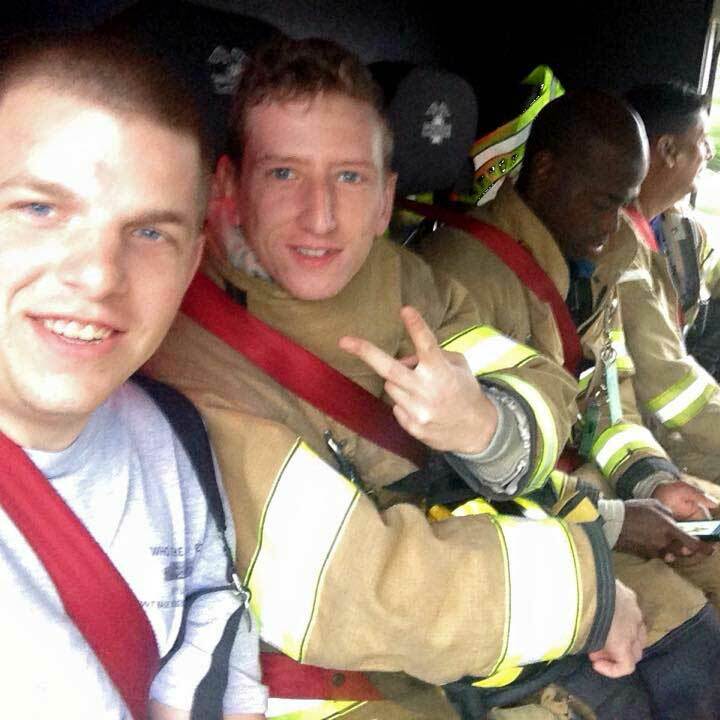 Tim Young and Paul Hullings from New Jersey are hearty firefighters that live for their work. They once worked tirelessly for 12 hours to clear out a fire. After which, being completely exhausted, they went to a diner around 6 am to request the strongest cup of coffee the diner could muster. Their waitress that day was Liz Woodward and she just happened to overhear the two firefighters discussing their tiresome battle. Eventually, when Tim and Paul went to pay, they were quite surprised. Instead of their bill, they were given this message. As Tim and Paul read this message, their eyes fill up with tears. Emotionally, they thanked the kind waitress for her warm gesture. On Facebook, Tim recounts the event: “Such a selfless and kind act. I definitely urge my friends to make a trip out and support the business, and if Liz happens to be your waitress, tip big." But the story doesn’t end there! 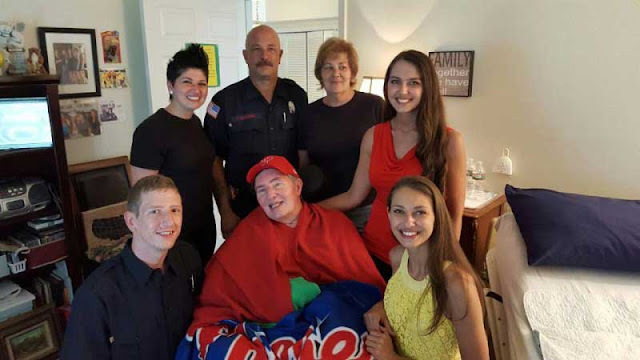 The firefighters learned that Liz’s father, Steve, is a quadriplegic and has been paralyzed for 5 years. 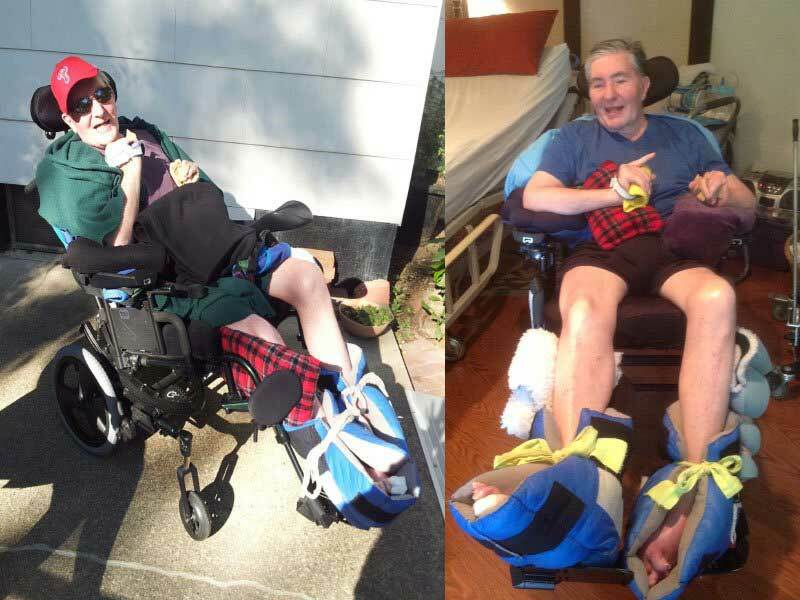 Liz set up a donation page in winter to fund a wheelchair accessible vehicle to transport her father. Tim urged people on Facebook to donate to Liz’s crowd funding campaign: “Turns out, the young lady who gave us a free meal is really the one that could use the help…"
This story is proof that kindness pays off - sometimes a thousandfold! If this heartwarming gesture moved you, then share the story of Liz, Tim and Paul with all your friends!